Trinamool Congress workers allegedly assault Visva Bharati students in West Bengal for protesting against tree cutting - Integration Through Media ....! 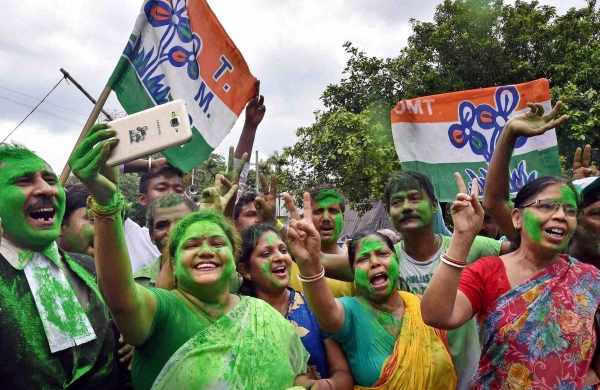 BIRBHUM: Trinamool Congress Party workers have been accused of thrashing some students of West Bengal's Visva Bharati University, who were demonstrating against the cutting down of trees at Shyambati area near Shantiniketan in Birbhum district. While the students were demonstrating, some TMC workers led by their local leader Nurul Huda Kaji, reached the spot and allegedly started beating them up a bid to disperse them from the spot. According to the claims of the students, the incident took place in presence of the police force, who did not intervene. Some of the students, reportedly, were injured in the incident.